Doubtful Sound is a massive wilderness area of rugged peaks, rainforest and twisting, hidden inlets – all deep in the heart of Fiordland National Park. 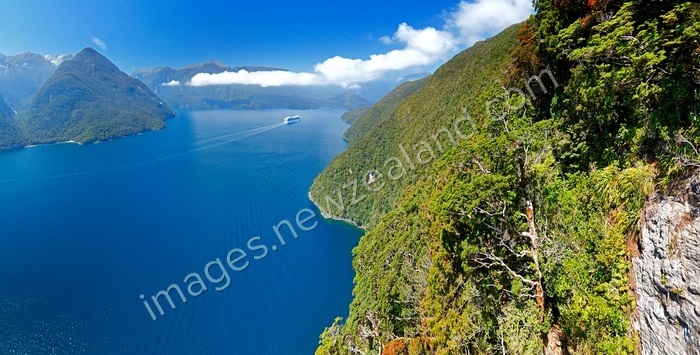 Known for its pristine beauty and wildlife, Doubtful Sound is the second largest of the 14 fiords in Fiordland National Park and is three times longer and 10 times larger than Milford Sound. It is home to bottlenose dolphins and fur seals – both of which are often seen. In season, you may also catch a glimpse of the rare Fiordland Crested Penguin. 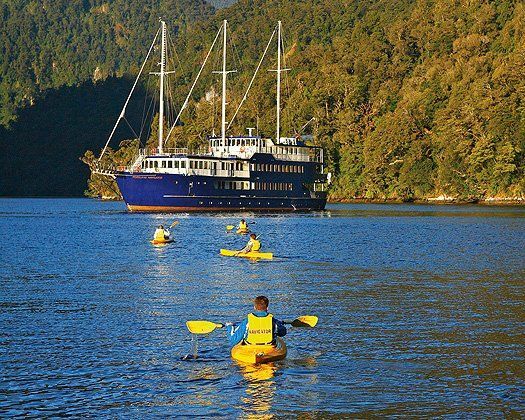 On arrival in Doubtful Sound, board our spacious catamaran Patea Explorer for a three-hour cruise through some of the fiord’s most stunning scenery. Throughout the cruise, a specialist nature guide provides commentary, answers questions and points out highlights. Wildlife sightings are common in Doubtful Sound. Fur seals bask on rocky outcrops and the fiord’s resident pod of bottlenose dolphins are often seen in the deep waters. A day excursion to Doubtful Sound also includes a visit to one of New Zealand’s major sources of sustainable hydro-power – the Manapouri Underground Power Station.